The Philippines’ Board of Investment (BOI) is currently in hot waters amid a controversial generous tax privilege granted by the Board to a Thai agribusiness company called Charoen Pokphand (CP) in 2012. 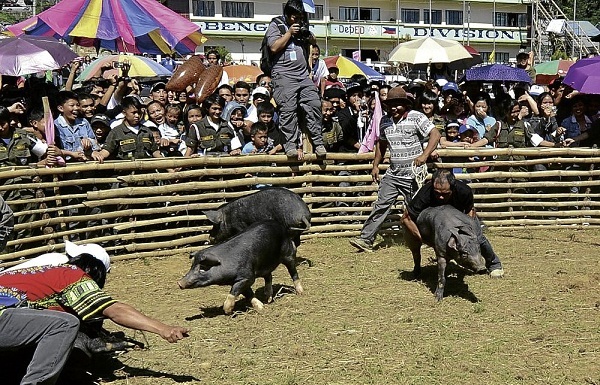 Said tax holidays, as found out by local livestock-industry players, would have an aggregate value of P567 million. And this does not include duty-free importation of machinery, equipment and other incentives. The P300 billion livestock industry in the country has caused tremendous pressure to the BOI asking the Investment Board to recall the “pioneering status” and tax privileges it has unjustifiably made available to the named Thai firm. The controversy has reached the doors of the Philippine Senate where Senator Francis Pangilinan filed a resolution to call for a formal investigation of the said 6-year tax holiday granted by the BOI to CP. This resolution resonated the fears of the Filipino hog and poultry producers that the 6-year tax holiday given to the Thai company would sweep the local producers off the market scene since the Thai firm would have more than enough room to move about because of the huge tax incentives received from the Philippine government. The same resolution had pointed out that the decision to approve such generous incentives has not been consulted with Agriculture Secretary Proceso J. Alcala, making the BOI’s action questionable and blatantly unfair for the Filipino investors. With such action, the BOI failed to carry out its mandate which is to assist both the Filipino and foreign investors in venturing into desirable areas of economic activities. In this case, one Thai firm outdid the thousands of backyard and large-scale hog and poultry growers and feed producers who will now have to compete with the Thai firm in selling the same products. The first on the line to get hit by this frivolous tax incentive decision are not the large-scale growers but the backyard hog and poultry raisers. The Chairman of the Abono Party-list and Director of the Swine Development Council, Rosendo O. So said, “The BOI’s approval of CP investment has practically made the anti-dumping law to be obsolete.” The Abono Party-list Chairman urged President Aquino to revoke the pioneering status granted to CP. The call to immediately rescind the BOI decision is seen as the right way to undo a decision that is unfair and disadvantageous to local livestock producers and at the same time a serious national food-security problem. According to So, local livestock industry players don’t see any shortage of supply. Hence, it is beyond comprehension why such a huge incentive was given to a foreign company instead of allocating the same or equivalent amount to help the small-scale Filipino entrepreneurs, to fuel the Philippine economy. The BOI had apparently kept the operations of the Thai firm which had been integrated into their swine project in the country since 2009 and its feed project in 2010, from the knowledge of the Agriculture Department and the Agrarian Reform Department. Apparently, the Thai firm was able to lease huge tracts of agricultural land in Pampanga and Tarlac, and no one really knows how the foreign company managed to do that. This was disclosed by DAR Director Nestor Floranda during a House Panel that also initiated its own investigation on the same “incentives issue”. Amidst all these noise over the issue, Trade and Industry Undersecretary Adrian S. Cristobal seemed convinced that the Thai firm should enjoy the privileges, having complied with all the requirements and going through the entire process. Cristobal is of the opinion that the tax incentives should not be revoked, since CP violated no laws when it was granted the incentives. Cristobal even argued that Filipino investors who decided to invest in Thailand, for example will also enjoy the same perks offered by Thailand for foreign investors through Thailand’s Board of Investment. Fortunately, not everyone agreed with Cristobal. Aside from the fact that there is no Filipino company operating in Thailand that has been granted “pioneering” status and earn that much tax incentives, the key issue is the questionable labeling of CP as a “pioneering” business venture in the Philippines. The Pangilinan resolution wants to know, among other things, what basis BOI got on their hands to have approved the Thai company to have a pioneering license despite the fact that the country has so many players that do not qualify the livestock industry to be tagged as “uncharted territory” with its P300 billion worth of investment already rolled out in the industry coming from local poultry and hog raisers and Filipino investors. It is hard to comprehend why the BOI will put the local producers at such a great disadvantage and let a foreign company enjoy the tax breaks and tax incentives at such magnitude. With a pioneering status and the equivalent incentives, the Thai firm is making the market area so advantageous for itself. People are now asking, “What is Charoen Pokphand doing in the Philippines and what did they do to deserve all those privileges and favors?” And people are definitely wondering and speculating, knowing the kind of thinking some government officials still have to this very day. It will always point to some pockets being filled up generously. And these officials deserved to be fired and thrown out of key government positions as they are not doing the country any good.